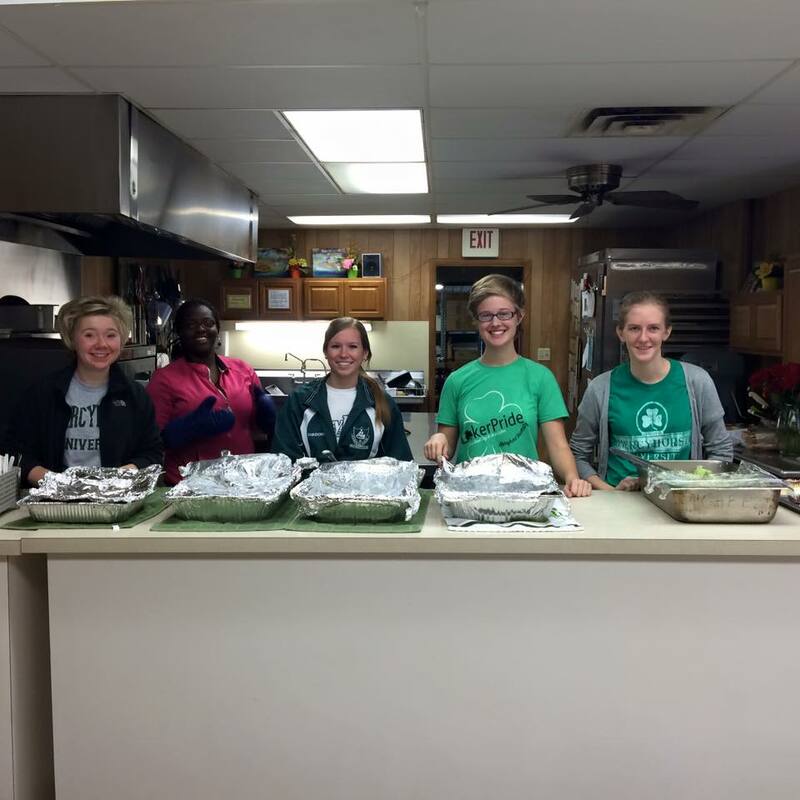 Since 1993, Mercyhurst University students and staff have served a Saturday meal at Emmaus Soup Kitchen through Emmaus Ministries during the academic year. Students prepare the meal and serve approximately 40-80 guests. 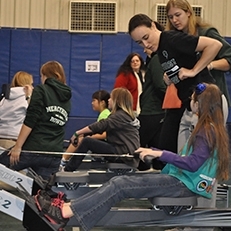 The 5th annual Girls and Women in Sports Day (GWSD) was held on February 13, 2016 at Mercyhurst University. Women's athletic teams were present with sporting equipment and smiles to be positive role models for local young girls who had an opportunity to test out a variety of sports and fun activities. The event encourages girls to see athletics as an opportunity for leadership and team development as well as a pathway for future education. 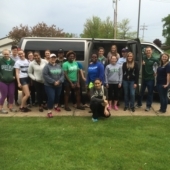 At the closure of each academic year at Mercyhurst University, a campus-wide effort – known as Trash to Treasure – is undertaken to both eliminate waste while also furthering the Mercy mission of the institution by donating valuable goods to the local community. Trash to Treasure is an official program at Mercyhurst that is collaboratively sponsored by staff members and offices within Mission Integration and Student Life divisions as well as other interested/available departmental staff and many student volunteers. Log in to contribute activities. Mercyhurst University seeks to be a leading higher educational institution that integrates excellence in the liberal arts, professional and career-path programs, and service to regional and world communities.